[Update: Plus models too] Lenovo Tab 4 models now available, $129 for 8" and $179 for 10.1"
Lenovo is one of the few major Android manufacturers still invested in tablets, and the company's 'Tab 4' lineup has been highly anticipated by fans. Both 10.1-inch and 8-inch models have shown up for pre-order online, with the former costing $129 and the latter costing $179. Both tablets have Snapdragon 425 processors, 2GB of RAM, 16GB of internal storage, and a microSD card slot. They both ship with Android 7.1 out of the box, but considering Lenovo's track record, don't expect fast updates. The resolution on both models is 1280x800, which will look decent on the 8" screen but not great on the 10" display. Both tablets have a front-facing 2MP camera and a 5MP back camera. Newegg says both tablets will ship on June 30, while Amazon says they will ship "within 2 to 5 weeks." You can find the product links below, and let us know in the comments if you see them anywhere else. Two more Tab 4 models have cropped up - the Tab 4 8 Plus and Tab 4 10 Plus. B&H already has listings for them, and says they will arrive on September 18. 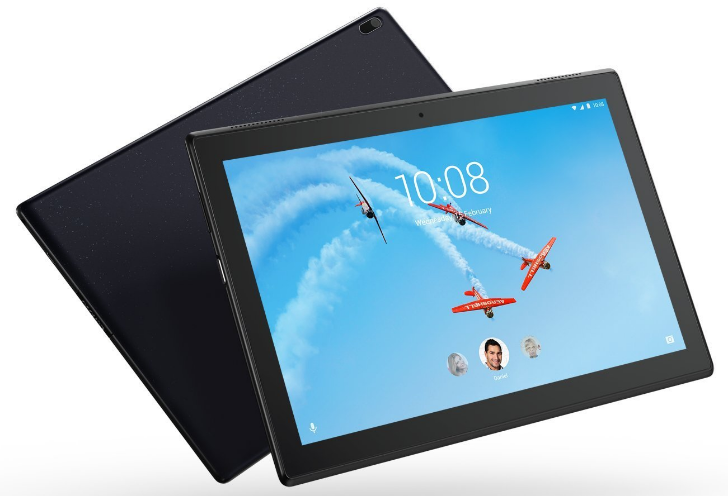 Both tablets have 1080p screens, Snapdragon 625 processors, 2GB of RAM, and 16GB of expandable storage. The 8 Plus will go for $229.99, and the 10 Plus will be $279.99. You can pre-order them from B&H below (no other retailer in the US has listed them, as far as I can tell).